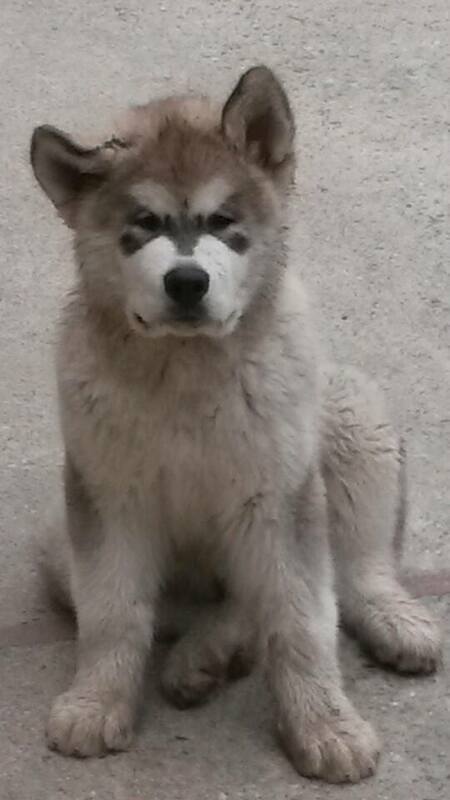 Lainouk was a grey and white boy puppy with possibly a little bit too long hair. 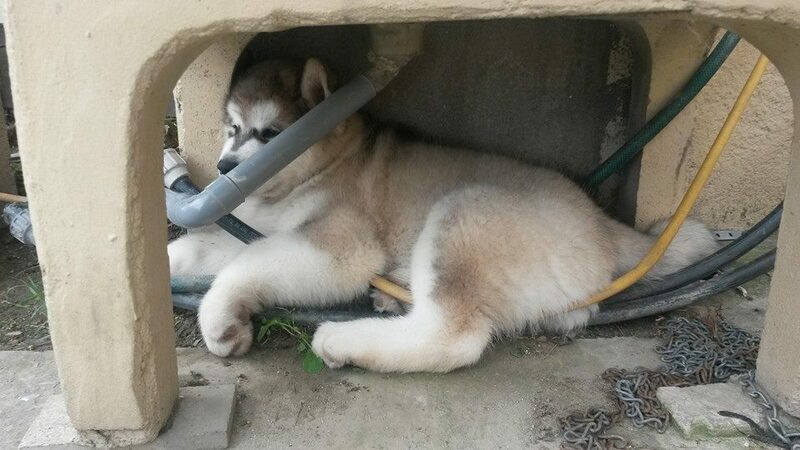 Although he was born with a smaller weight than his brother Looping, he quickly surpassed him to finish with an impressive weight of 17 kg at 10 weeks, a weight more important than his great brother Guizmo at the same age, and who weighs 57 kg now. 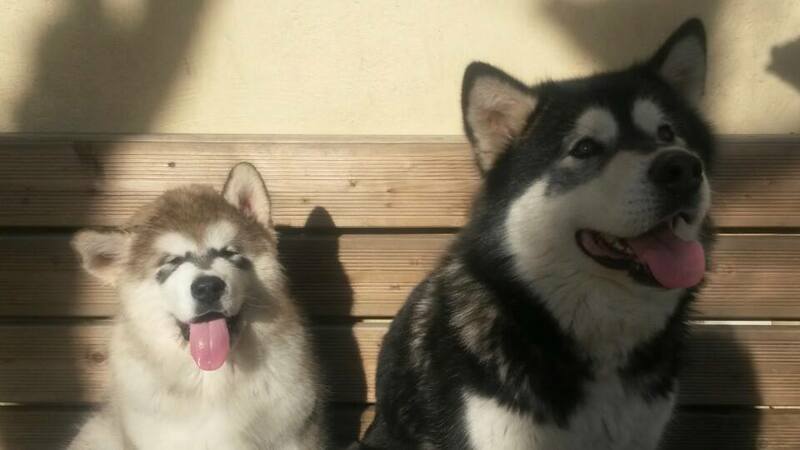 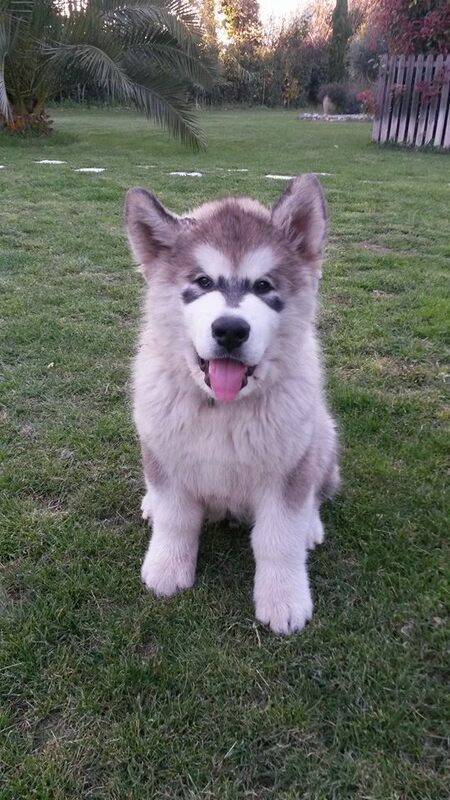 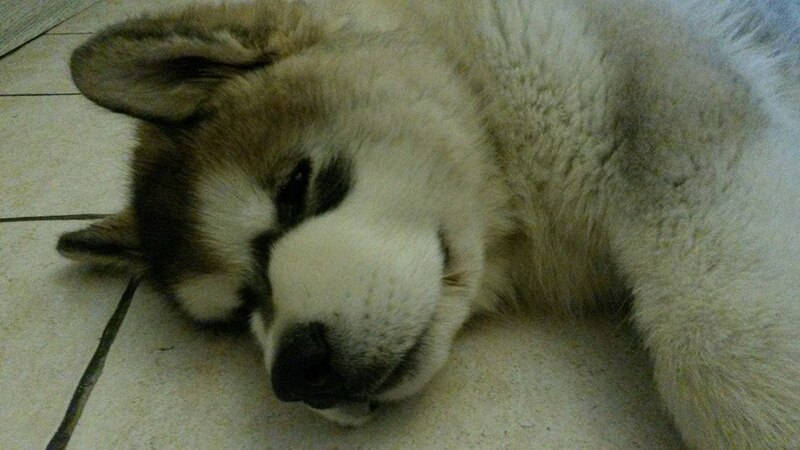 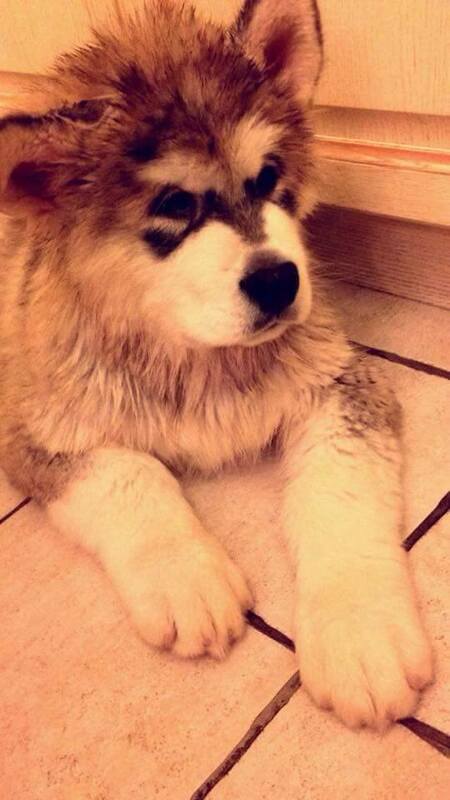 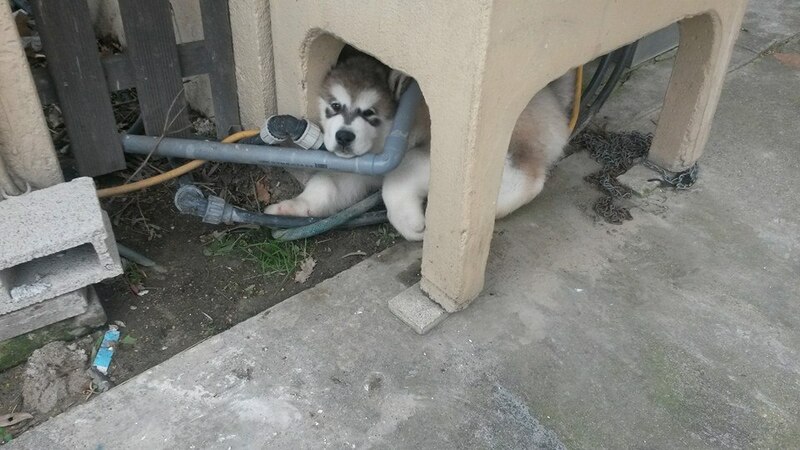 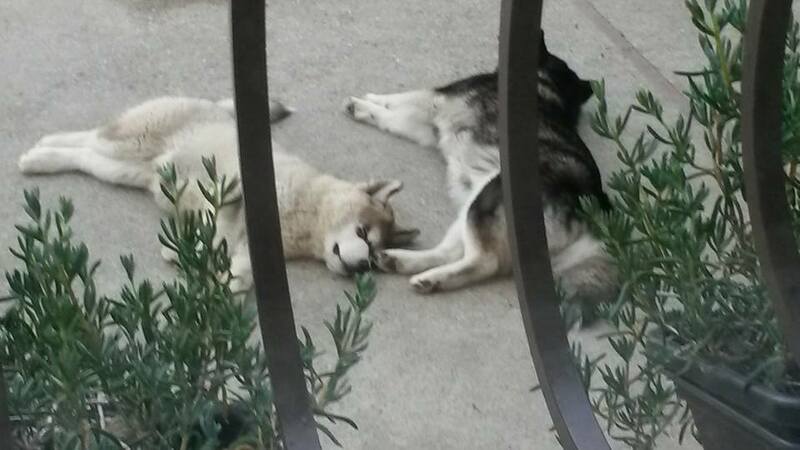 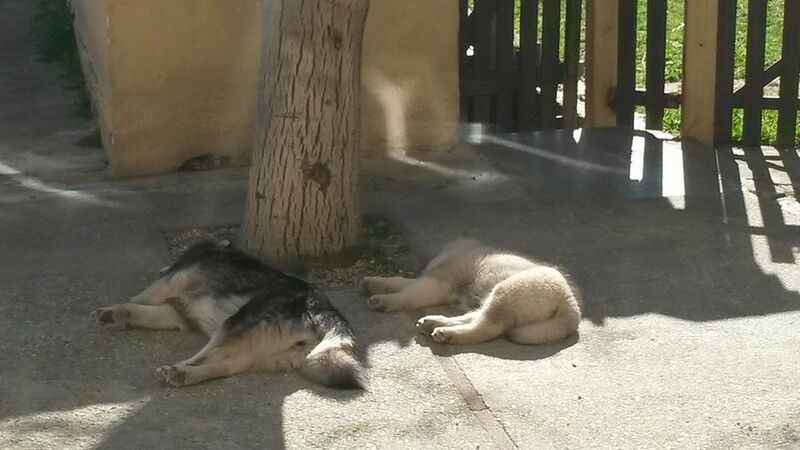 Lainouk is gone in a familly in Perpignan town, where he found a female Malamute.